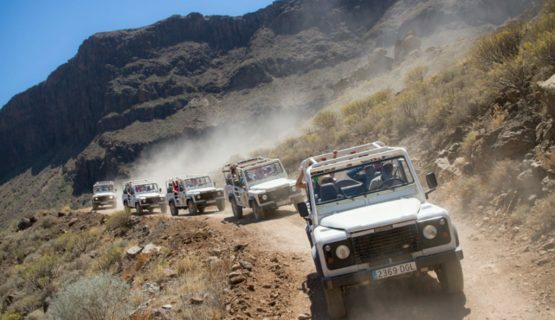 Explore this wonderful Island on the Gran Canaria Jeep Safari , Gran Canaria is also known as a ´mini-continent`, with one of our very experienced guides, as they take you to some of the most beautiful spots on the island. 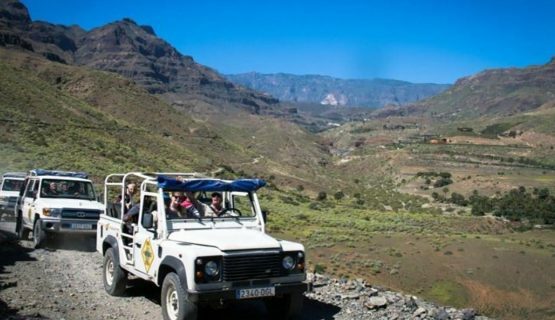 Enjoy a day of adventure and nature on our Jeep Safari Tour in Gran Canaria, see places that are only accessible by 4x4. The trips are daily 09:00 to 16:00 all year round and in addition 15:30-21:30 (July and August only) Hotel Pickups are from 08:30 - 08:55 depending on where you stay the duration of the trip is 7 hours. The capacity is 8 person maximum per Jeep. Adult tickets are only €47 and Child tickets are only €33. 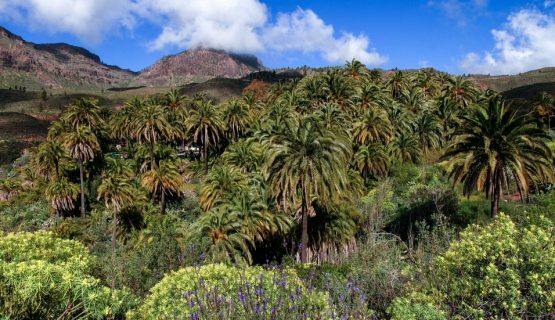 There is far more to Gran Canaria than just Beaches! The Jeep Safari convoy travels in a line from your resort, towards the mountains behind Arguineguin, passing through the valley of a Thousand Palms where there are many tropical plants typical for this area. We then stop in a local bar and you have the chance to buy breakfast if you wish and also try the Watermelon juice, which the región boasts itself on. 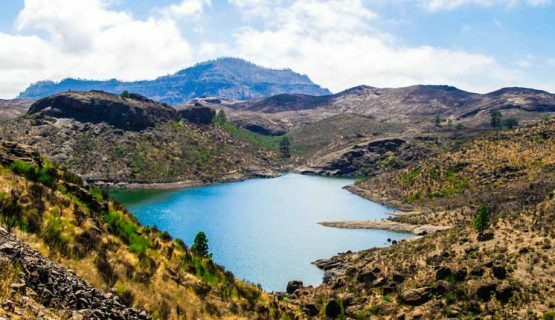 After a short stop, we head to Presa de las Ninas, with amazing views and volcanic structures and as we continue, you will also see Stone formations, natural lakes, caves and amazing flowers and wildlife. There are some great photo opportunities here. Amazingly there are actually inhabited caves where people live to this day. As we travel through a stunning pine forest, we head towards San Bartoleme De Tirajana and it is time to stop for lunch, which is included. Here you will enjoy a typical canarian lunch, which will include Canarian Potatoes, Mojo Sauce and Fresh Bread. When everyone has refuelled, we continue along the mountain road and reach Arteara, which is home to the Camel Park. 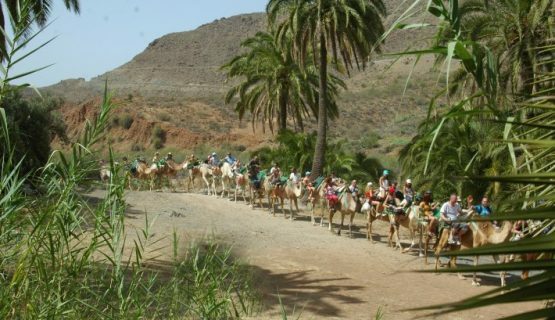 Here you have the opportunity to take part in a mini camel safari, which is optional, and 10 euros extra on the day. Book Now & Save €7 per person when booking here online. 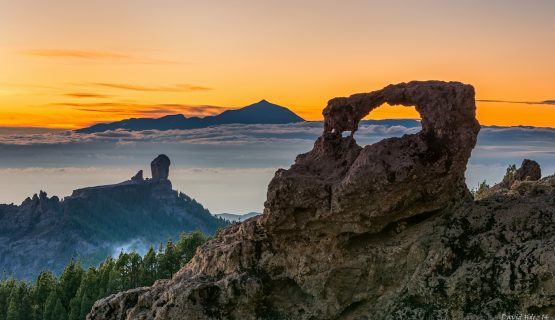 Join us on this amazing fun-filled adventurous day, seeing wonderful scenery, plant life, mountains, rock formations and pine forests, you will see why Gran Canaria is called the mini-continent. 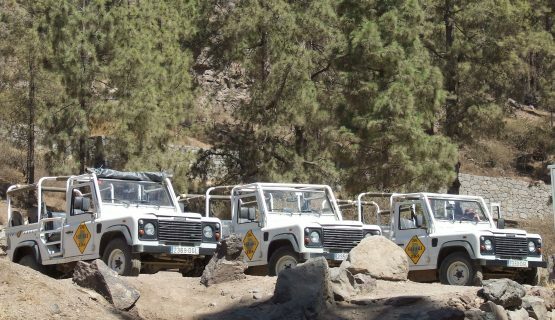 Get away from the typical tourist zones in one of the jeeps with a guide who speaks your language, where possible and travel over rough terrain to places off the beaten track, not accessable with your average car. We pick up from your hotel and drive to the central meeting point, to meet the other jeeps. From here, we travel in a line from Playa Del Ingles, towards the mountains behind Arguineguin, passing many tropical plants typical for this area. We then stop in a local bar and you have the chance to buy breakfast if you wish and also try the Watermelon juice, which the región boasts itself on. 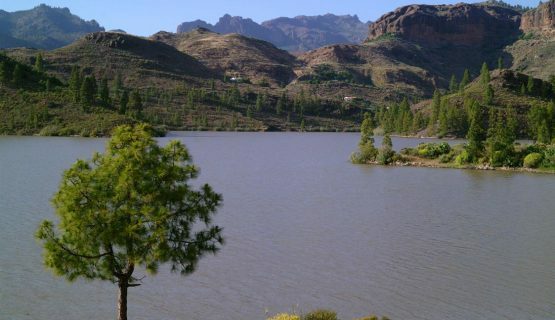 After a short stop, we head to Presa de las Ninas, with amazing views and volcanic structures and as we continue, you will also see Stone formations, inhabited caves and flowers. There are some great photo opportunities here. 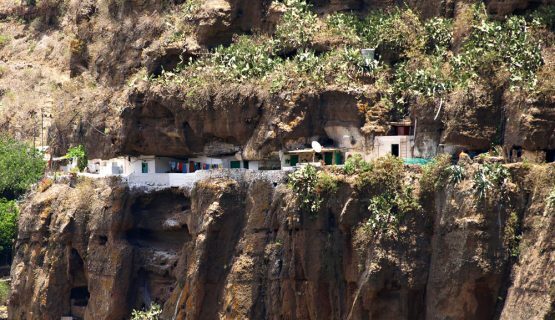 Before making our descent into Playa Del Ingles, we pass through the very picturesque and white-washed barranco of Fataga, which is an original Canarian Village, perfect for taking more photographs. 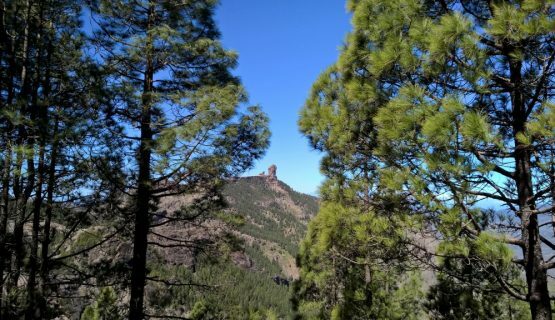 After a fun-filled adventurous day, seeing wonderful scenery, plant life, mountains, rock formations and pine forests, you will see why Gran Canaria is called the mini-continent.You are then returned safely to your hotels with very happy memories and many photographs to prove just how amazing and diverse Gran Canaria is. The Remaining Balance of €32 to be paid on the day. The Remaining Balance of €28 to be paid on the day.